And then there's the rest of us -- spending our days chained to a cubicle, staring at a computer monitor; eight hours sandwiched between a traffic-filled commute each way. By the time you get home, you're so exhausted (but you're not sure why...after all, you just sat down all day) you wouldn't have the energy to surf if the sun stalled long enough to make it happen. This is in parenthesis because not everyone can swing this one. You have to live by the beach, be willing to wake up super early, have a short commute to work, start work late, be okay smelling like salt water all day...that's a lot of contingencies! However, when the stars align, a morning surf can be the best way to start your day. Personally, I find it more energizing than 7-11 crappuccino! 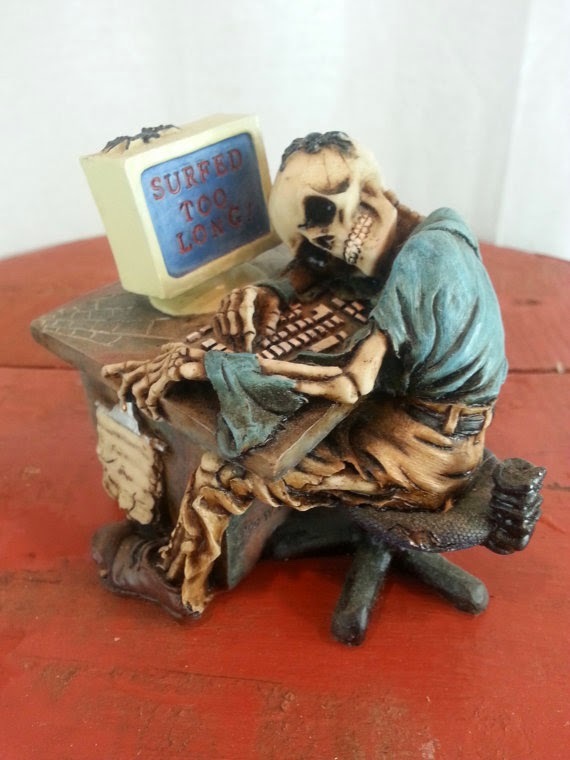 Internet at work slow? Skip the videos and read a blog! It's the new old-fashioned way of taking in information! Oh, you're reading one now? Of course you are. Now quick! Finish reading before the boss gets here! 5. Find surfers at work and talk about surfing! Maybe you're like me, with a data-entry job in which the only work relationship you're building is between you and Hewlett-Packard. That's why this is probably my favorite tip of them all. Everyone has a favorite spot, favorite surf shop, favorite board shaper...and talking about them can help reduce the monotony of the 9-to-5. I've gotten tips on swells, found new breaks, given sweet deals on gear and most of all, found new friends to surf with. So keep your eyes and ears out -- it's not always obvious who the nearest surfer is. 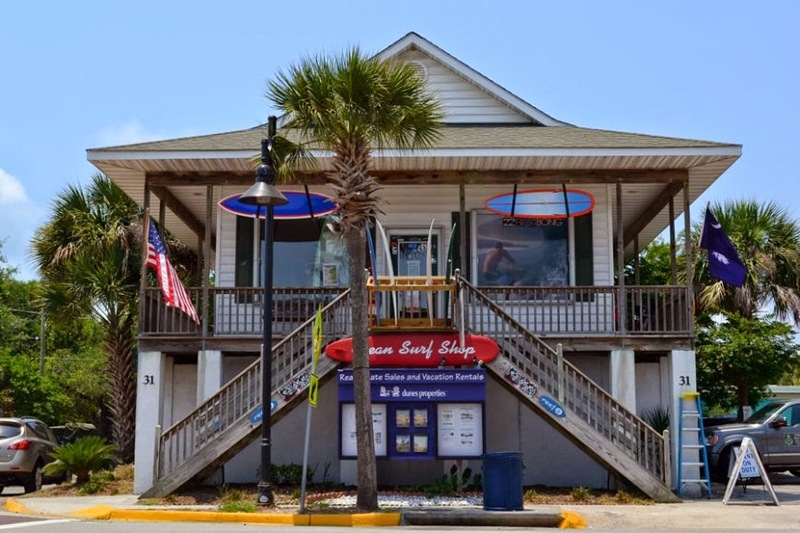 One of my favorite local surf shops -- Ocean Surf Shop in Folly Beach, SC. Another parenthesis, as not everyone lives in close enough proximity to their work or the beach to make this happen. But there was a time that I did, and that 45 minute session of early evening glass can be a great way to clear your head after a hectic day. Just don't drive too fast to get there! Police don't usually take "I want to go surfing" as a good excuse! What gets you through the day? Comment below...but hurry, I think I see your boss coming!